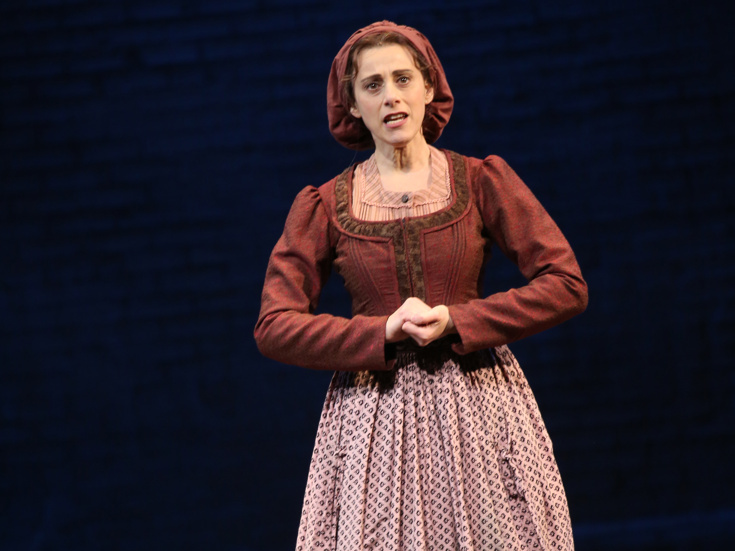 Tony-nominated Broadway actress Judy Kuhn will say a Sabbath prayer in London this winter when she debuts Trevor Nunn's new staging of Fiddler on the Roof at the Menier Chocolate Factory. Kuhn returns to the role of Golde, which she played for a brief engagement in Bartlett Sher's Tony-nommed Broadway revival. Nunn's previously announced new London production will begin previews on November 23 with an opening set for December 5. Kuhn is a four-time Tony nominee for Les Misérables, Chess, She Loves Me and Fun Home. Her other main-stem credits include The Mystery of Edwin Drood, Rags, Two Shakespearean Actors and King David. The newly announced cast also includes Harriet Bunton as Hodel, Dermot Canavan as Lazar Wolf, Stewart Clarke as Perchik, Matt Corner as Fyedka, Joshua Gannon as Motel, Louise Gold as Yente, Kirsty MacLaren as Chava and Molly Osborne as Tzeitel. They join the previously announced Andy Nyman as Tevye. Fiddler on the Roof follows the travails of Tevye (Nyman), his wife (Kuhn) and daughters (Osborne, Bunton and MacLaren). The musical features a book by Joseph Stein, music by Jerry Bock and lyrics by Sheldon Harnick. Additional casting for the Menier's Fiddler will be announced at a later date. The production is slated to play a limited engagement through March 9, 2019.